Not all of Long Island City’s new developments are gargantuan or fully encased in glass. 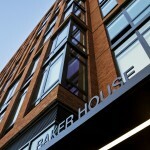 One such anomaly is Ranger Properties’ recently opened rental building called the Baker House. 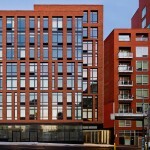 Replacing a building that housed the Bakers Union Local 3, the development rises a modest nine floors within the human-scaled confines of the Dutch Kills section of the neighborhood, the 47,000 square-foot building was designed by Fogarty Finger Architects and boasts a tasteful exterior of red brick, metal and staggered floor to ceiling glass windows. 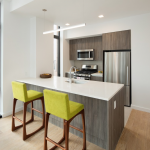 Inside are 48 light-bathed apartments ranging from studios to two-bedroom layouts. 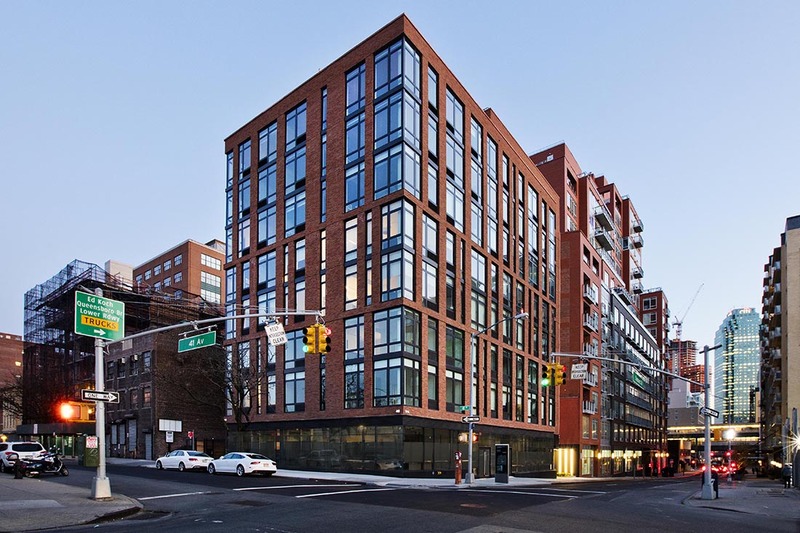 Remarkably, after debuting on the market just earlier this year, the leasing agents at Modern Spaces have all but one of the units accounted for. 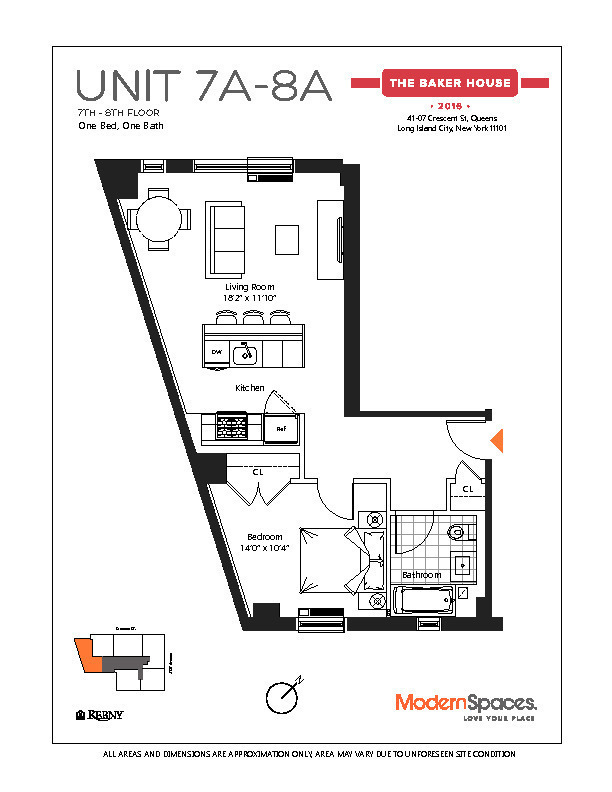 The sole remaining home is a 700 square-foot, one-bedrooms, one-bathroom on the eighth floor, priced at a net-effective rent of $2,529/month. 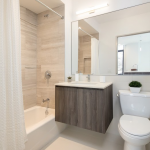 All residences are outfitted with white oak hardwood floors, Carrara marble baths, and open kitchens with Pedini cabinets and Bosch appliances. 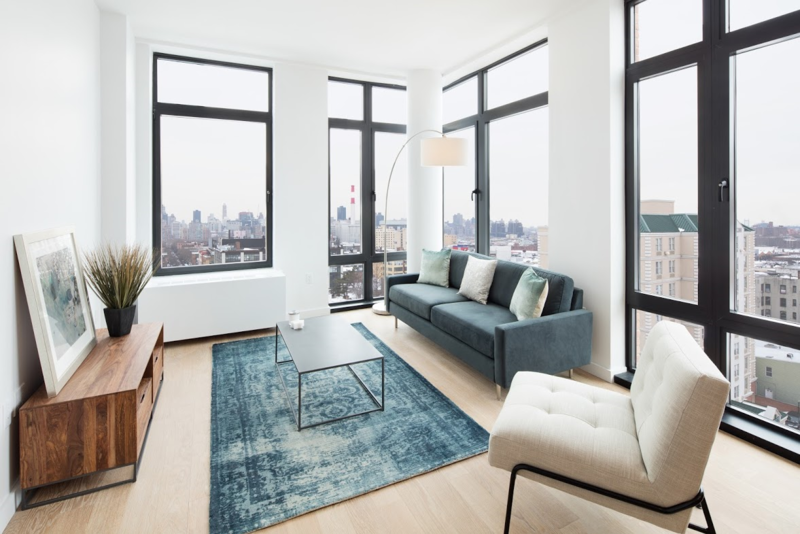 Building amenities include a virtual doorman, a fitness center, a communal lounge, rear garden area, and a rooftop terrace overlooking the Manhattan skyline. 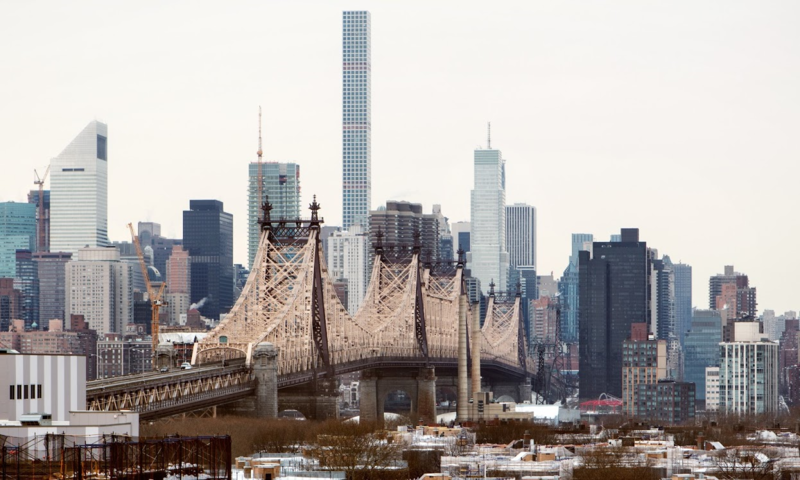 The Queensboro Plaza elevated station serving the 7-N-and Q trains is at the opposite end of the block, allowing residents to access Midtown Manhattan in less than 15 minutes. Silvercup Studios, MoMA PS1, Socrates Sculpture Park, and the Isamu Noguchi Museum are also nearby. View listings and find more information on the Baker House at CityRealty or on the Baker House website. 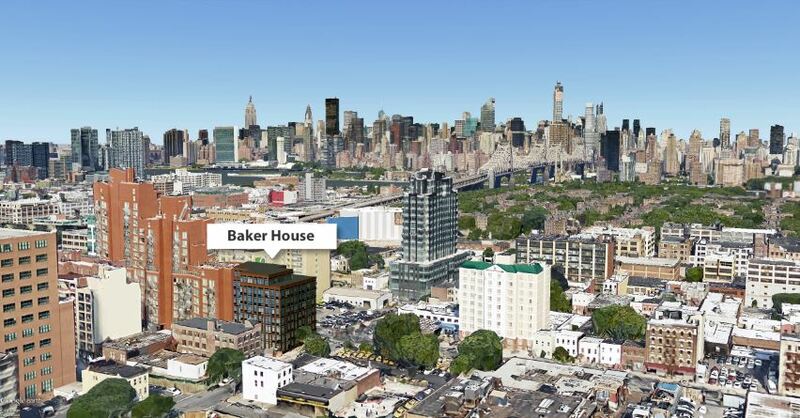 The Baker House anchors the southeast corner of Crescent Street and 41st Avenue in Long Island City, allowing light-filled apartments, many with views of the Manhattan skyline.